The final days of 2011 included my dear fella, an old NES, and boxes of original NES titles. For him, a true test of all that has been locked away to memory, for me, a mix of nostalgia and ‘new’ excitement breathing the same air. As I’ve mentioned in previous NES Challenge , my continued goal is to explore all of the NES titles I glossed over in those days due, almost wholey, to my fascination with PC gaming. I’ve not updated in a while, but have been continuing on the path of rediscovery. 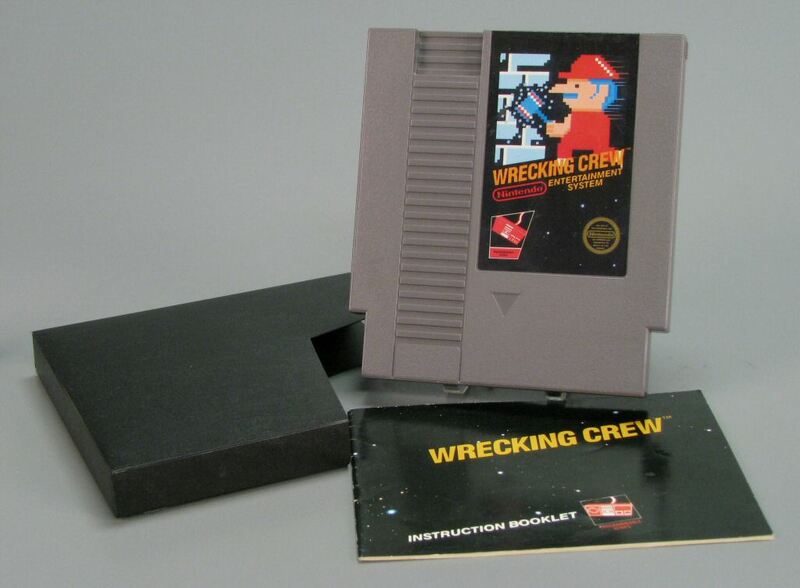 A recently discovered title, for me, was a little gem called Wrecking Crew. This Yoshio Sakamoto designed Nintendo launch title had never been a part of my collection as a kid. A travesty I will learn to live with, in time. We hunkered down for some two player good times and I sat in my familiar player 2 position (that is, cross legged on the floor in front of the tv). As player one began I watched the game and made an attempt to understand just how the game worked. Not too difficult to figure out. 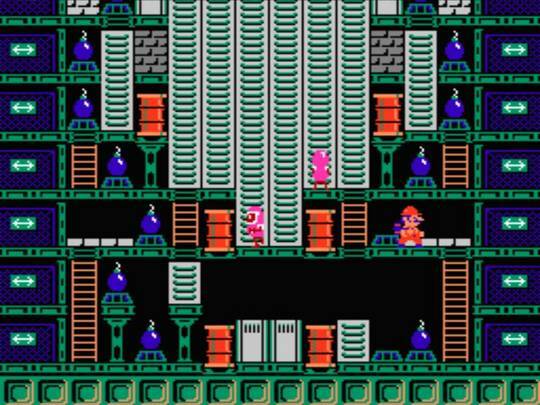 Mario and Luigi are faced with a vertical challenge of barrels, walls, ladders, bombs, pillars, and enemies. Some objects are destructible, others are not, and the enemies should be avoided at all costs. The challenge, of course, is to avoid the enemies while destroying all of the destructible items on each level. Player one did formidable and left me with the knowledge needed to get going. Mario and Luigi can not jump and so it is important to scan the level to have an understanding of where you need to be, and go, before you start wrecking up the place. 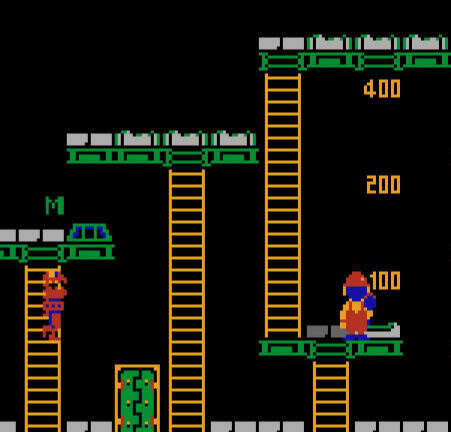 If your only way to the top platform is by way of a ladder that you just destroyed… well my friend, you’re boned. You may as well make kissy with that enemy you’ve been avoiding for so long. 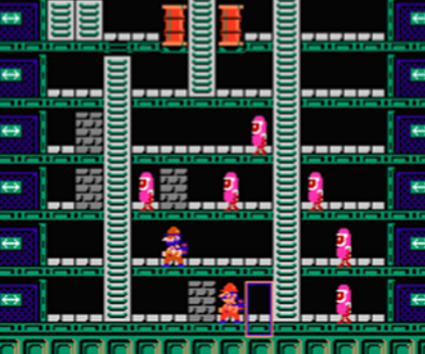 The levels become increasingly difficult (as they should) and just when you think you’ve gotten the hang of the game mechanics the sides of the screen start shooting fireballs at you, or a construction worker begins running around the background of the game knocking you down to the bottom of the screen. In my haste I had a few fireball induced panic moments and found my eventual death but there is much more to the game than my brief encounter. Destroying multiple objects in a row (usually with a chain of bombs) scores extra bonus points, and occasionally bonus items may appear that Mario and Luigi can collect, the start screen allows selecting any level to start on, and best of all Wrecking Crew also features a level editor, which allows the player to design up to four levels. It may have been a humble introduction to the greatness that is Wrecking Crew, but this original Nintendo launch title instantly earned a place in my heart. It is my understanding that as part of the Nintendo 3DS Ambassador program, Nintendo 3DS ambassadors have been able to enjoy a 3DS release since September of 2011. My intentions to player one this game straight to the end are just a non cartridge blowing, finicky old NES, afternoon away. Wherever there are things need to be wrecked, I will be there! Think you know which title I should play? Be sure to let me know which game was your favorite of the platform!